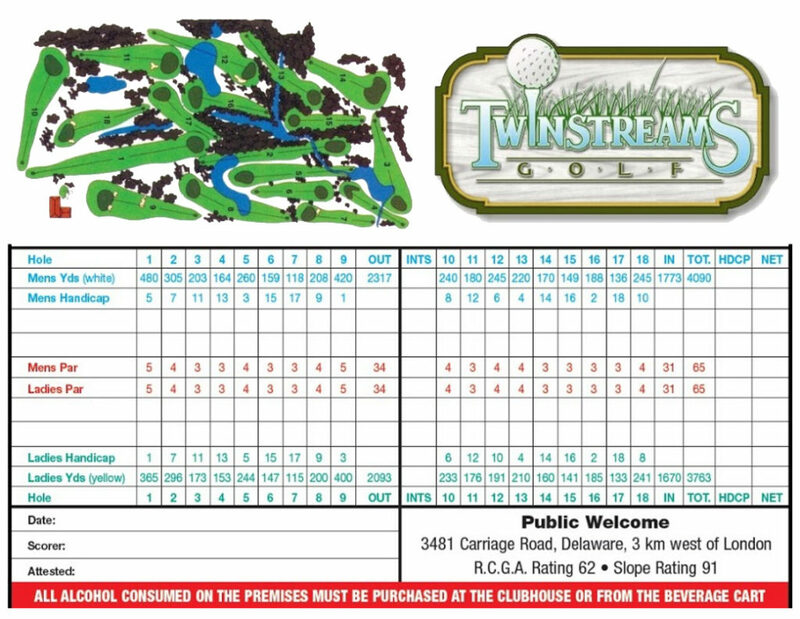 Twin Streams golf course was originally established in 1957 as a 9 hole course and in 1966 was expanded to an 18 hole layout. A redesign of the front nine took place in 1998, making it slightly longer. New par fours on the 2nd and 5th hole, and a new par three on the 6th hole, were then created. Fairway irrigation was added in 2000. In 2008, changes were made to our par 3, 16th hole. A pond crossing the fairway just short of the green gave this hole more challenge. Today, both nines enjoy the benefits of years of nurture and natural maturity we all can certainly appreciate. Golfers are greeted with a relaxing, park-like setting, in which to enjoy their game. Tall mature trees line most holes, creating shade and protection during our hottest days, throughout the season. Generous amounts of water and sand make Twin Streams both visually attractive and challenging. The course’s signature hole is the par 4, 13th hole. At only 220 yards, many golfers will be forgiven when playing this hole for the first time. Tall trees on both sides of this slight dogleg left, makes this hole play extremely narrow. The key to success here is… conservative play! The par 34, front nine (2317 yards) plays a bit longer than the par 31, back nine (1773 yards). Both can be played fairly quick, making Twin Streams appealing to both business people and families. We hope you join us for many rounds, this 2019 season!